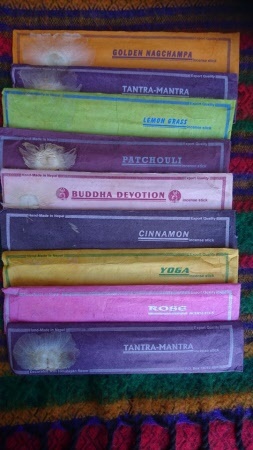 Tibetan Herbal fair trade chemical free hand rolled incense. These incense varieties are made to recipes around 2000 years old. They are not about fragrance, but made with specific herbs and spices, also blessed water from Holy Lands. Hand rolled and chemical free, made from organic products to recipes over two thousand years old. 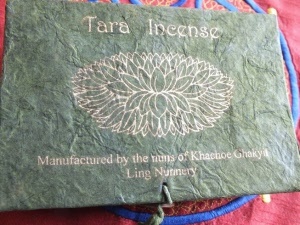 Used in Tibetan medicine and ritual ceremonies. Beautiful fragrances in this box. Sandal wood, Jasmine, Rose, Musk, Red Sandal wood. 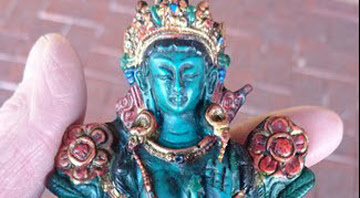 Hand made in Kathmandu, Nepal. 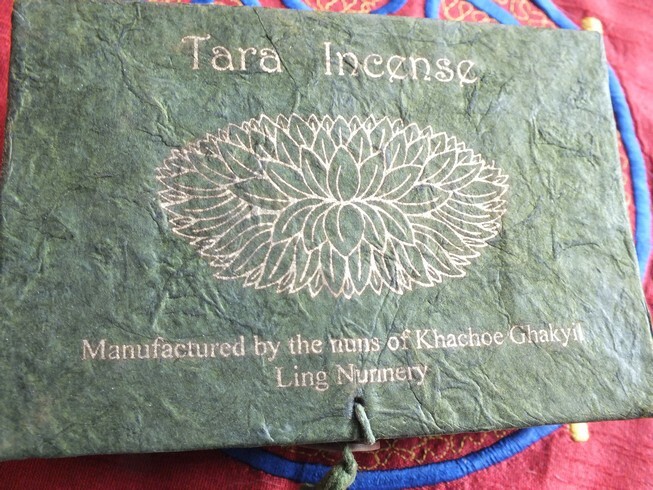 Tara incense is made from pure herbal ingredients. No artificial colour or fragrance. 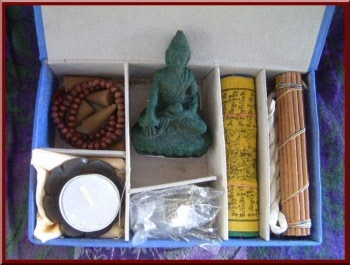 Manufactured by the Nuns of Khachoe Ghakyil Ling Nunnery in Kathmandu. Part proceeds from the incense go towards support of the Nunnery. You get one pack - The green one in photos. 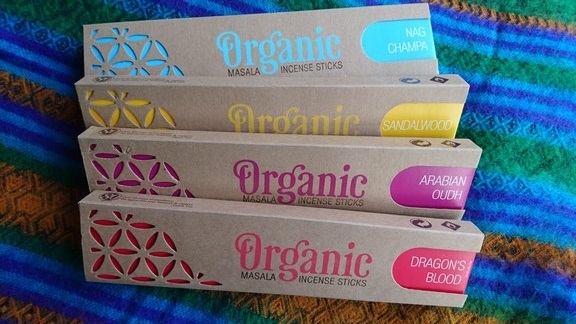 These hand rolled masala incense sticks have been carefull prepared with natural wood powder and herbal essential oil extracts to enable a truly enriching experience. 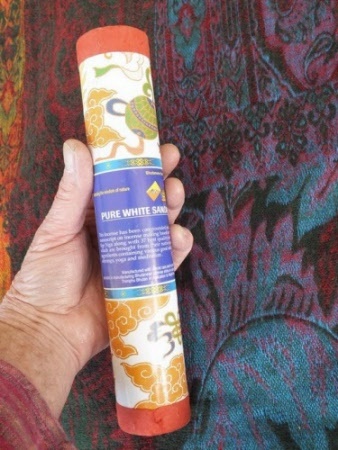 Ideal for adding a beautiful fragrance to your home or work place / yoga or meditation centre. 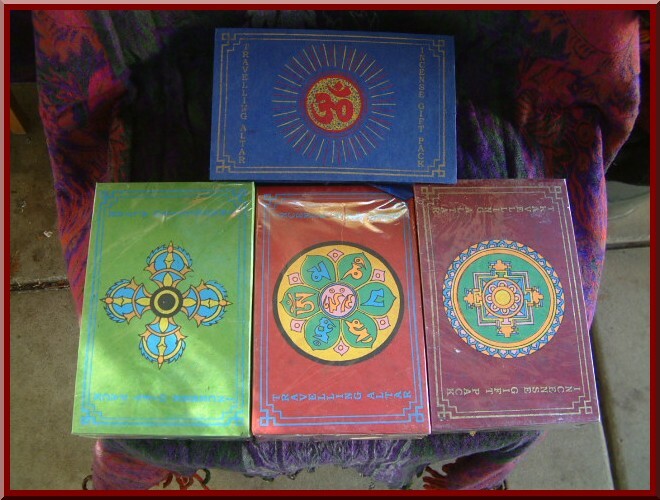 They can help clear your mind during meditation and an aura of positive energy. 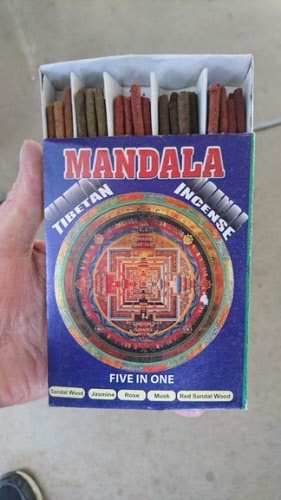 The most famous of all herbal and medicinal incense. 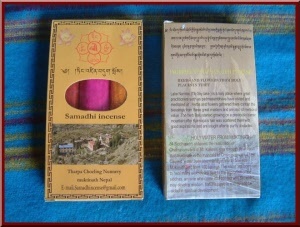 It is composed of 23 herbal medicinal ingredients from the high Himalayan mountain range Nepal. 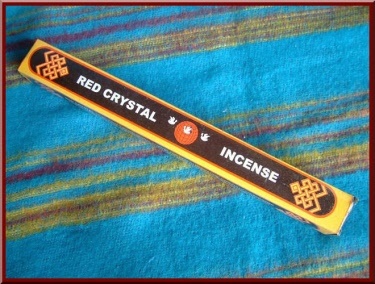 This is made completely by hand in Nepal and is a high grade healing incense. Most use this for healing and meditation and helps greatly with focus. Recommended for religious offering, meditation, protection against malevolent spirits. It can also be used as room-freshener or for refreshing the senses. 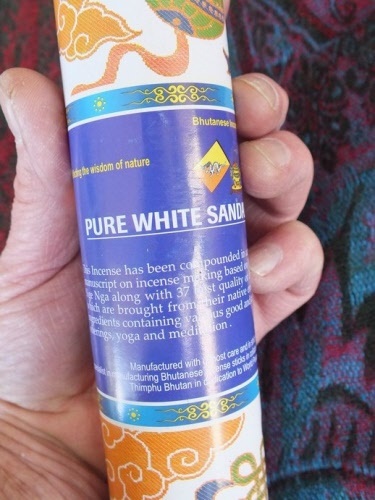 Especially recommended for use in the morning during meditation and prayers. Approx 60 sticks 8.5 inch Long. With a burning time of approximately 45 minutes per stick. All the way from India comes wellness incense. Produced by the makers of Song of Inida fragrant perfumes and many other products. Approx. 15 to 20 sticks per packet. Choose your fragrance when ordering. 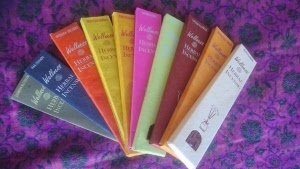 Our most popular incense, these incense have a beautiful, pure and refreshing fragrance. 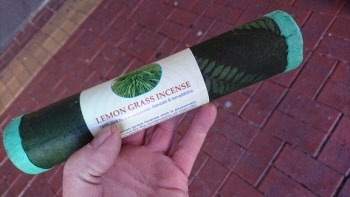 You only need to light one a day, the fragrance doesn't dissapear once it goes out - like some other brands of incense. Try a packet you will most likely be back for more. Good quality incense on a nice stick that stands straight and not twisted. Plenty of variety here. We have Charcoal Burners, Incense Stick Burners, Cone Burners & Tibetan Incense Burners.Take your time and browse through them all. Designs and sizes may vary slightly due to changes in stock. 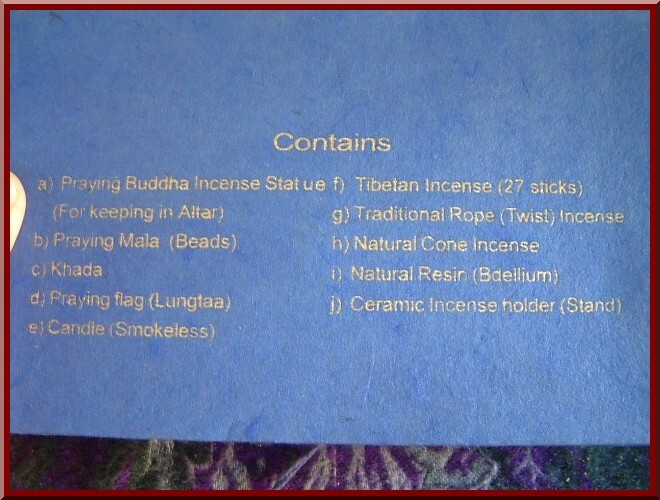 Rope incense, resin incense, stick incense, cone incense, prayer flags, one mala necklace and an offering scarf. This is great value and comes in a beautiful gift box. Used for meditation and unlocking the subconscious. 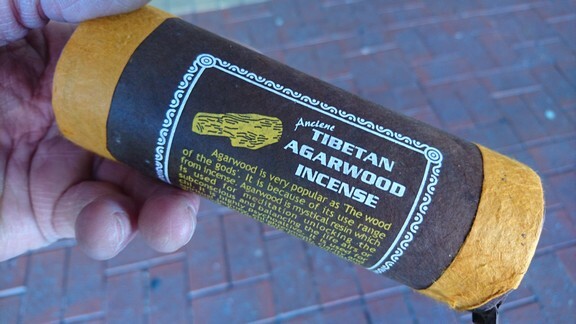 Agarwood is very popular as the Wood of the gods. 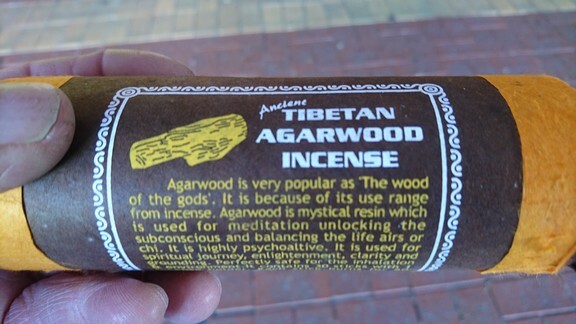 Agarwood is a mystical resin which is used for meditation, unlocking the subconscious and balancing the life airs or chi. It is highly psychoaltive. 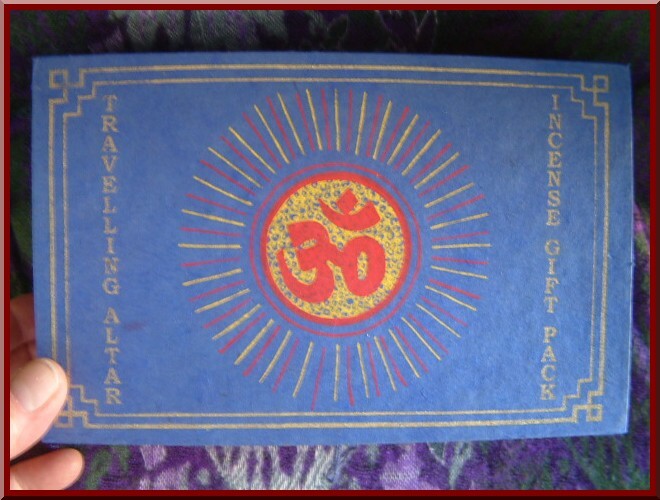 It is used for spiritual journey, enlightenment, clarity and grounding. Out of stock more coming soon! 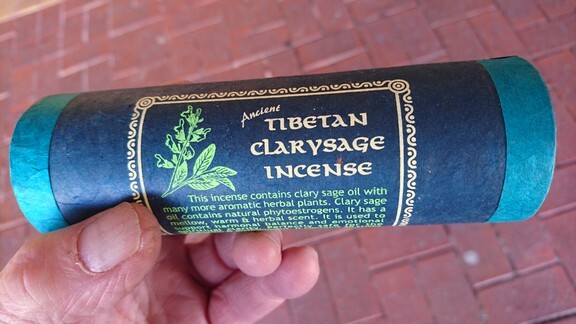 Ancient Clarysage Incense contains clary sage oil with many more aromatic herbal plants. Clary sage oil contains natural phytoestrogens. It has a mellow, warm and herbal scent. Hand made and rolled in Nepal. 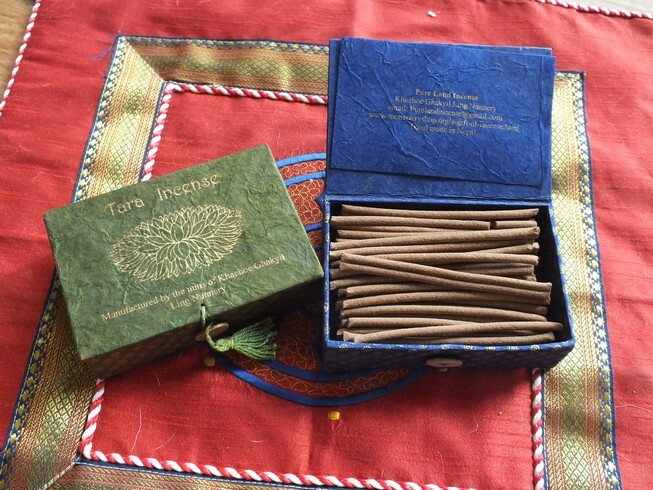 Package contains 30 sticks of incense each burning for approximately one hour. 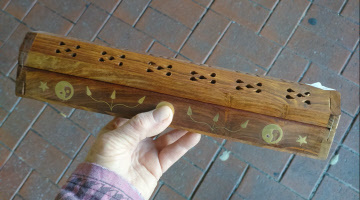 Also has a free incense holder inside. 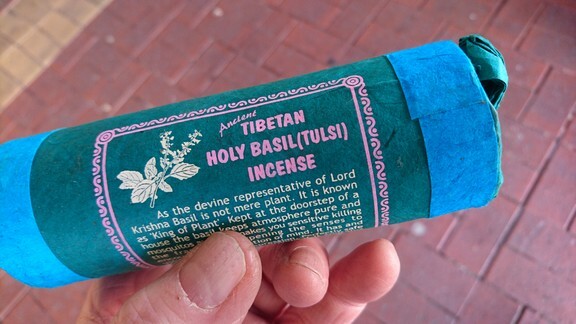 Ancient Tibetan Holy Basil Incense. As the divine representative of Lord Krishna, Basil is not merely a plant. It is known as "King of Plants". Kept at the doorstep of a house the basil keeps a=the atmosphere pure and keeps mosquitos away. It makes you sensitive, killing the fragile and sharpening the senses, to encourage concentration of mind. It has an uplifting effect on depression. Package contains 30 sticks each one burning appros one hour. Hand made and hand rolled in Nepal, using recipes over two thousand years old. Valerian is a medicinal plant, it may assist with insomnia, irritability, depression, anxiety, nervousness and nervous tension. It has been used as a medicinal herb for panic attack. Package contains 30 sticks, each one burning approx one hour. 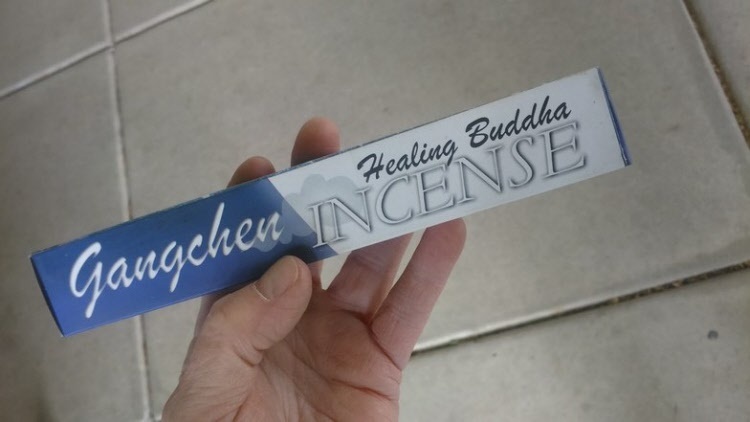 Also contains one Free incense holder. Out of stock - more coming soon! This Healing incense is made using 31 natural ingredients to a recipe handed down throughout the generations of the last 2000 years. Can give releif from nervous disorders, insomnia, back pain and many other ailments. This Lemon Grass incense is exclusively prepared by the combination of naural extract of lemon grass oil and other aromatic herbs. 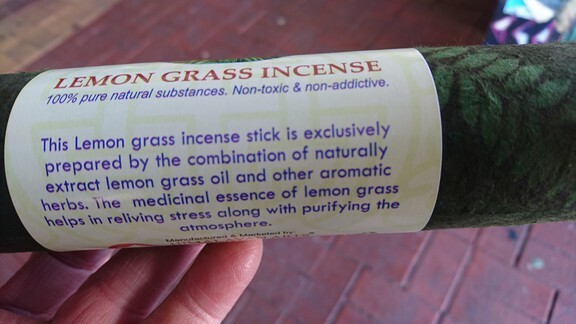 The medicinal essence of lemon grass helps in relieving stress along with purifying the atmosphere. 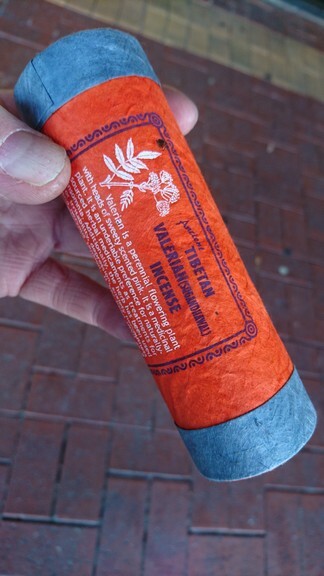 Tube contains approximately 20 sticks each stick burns for one hour approx. This incense has been compounded in accordance with a famous 13th century manuscript on incense making, based on White Sandalwood, including Rinchen Nge Nga along with 37 of the best quality medicinal herbal ingredients. These natural and aromatic ingredients contain various auspicious substances which are ideal for Puja Offerings, Yoga and Meditation. 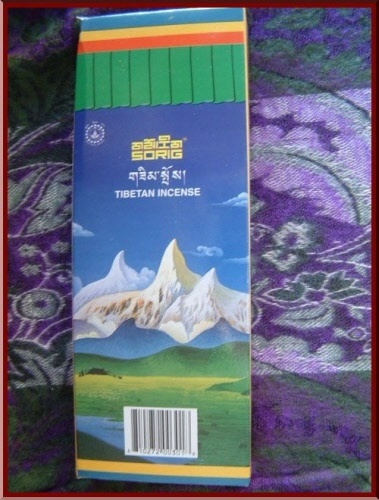 Manufactured with utmost care and in strict compliance by Kesang Poizokhang, specialist in manufacturing Bhutanese Incense sticks in collaboration with Menjong Indigenous Herbal Medical Centre Thimphu, Bhutan in dedication to World Peace and the promotion of Buddha Dharma. Approx 30 sticks, each stick burns around one hour.